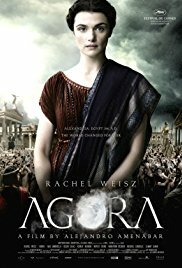 The movie Agora, starring Rachel Weisz, is one of the few fictional movies ever to be reviewed in Science magazine. I have now seen it three times and have come to understand it. It is one of the few essential movies that you need to see to understand the meaning of science in the human mind. You’d better see it at least once. Hypatia of Alexandria (Egypt), in the fourth century of the Christian Era, was a philosopher and teacher. She accepted students of diverse faiths, including a Roman pagan and a Christian. She taught them that if two things are equal to a third, then all are equal, and she insisted that this applies to herself and to her students: she the (we would say today) atheist, and her pagan and Christian students, were all equal. Hypatia’s faith was different from those of any of her students. They believed that truths were revealed by one or more gods, while she believed that the highest pursuit of the human spirit was to understand the universe itself, to decipher what it is telling us. In particular, she wanted to understand why the planets did not move in a perfect circle around the Earth. Ptolemy had said that the planets and sun traced their own little circles as they orbited the Earth, but this seemed whimsical: if the universe is perfect, why should these little epicycles be necessary? Then she found out that the philosopher Aristarchus, centuries previously, had suggested that the planets, including Earth, went around the sun. But if the universe was built on perfect circles, then the Earth must describe a perfect circle around the sun, which it does not: sometimes the sun was smaller (more distant) and dimmer than at other times. Then she figured out that the Earth travels in an ellipse around the sun. After she died, and her writings were lost, it took another 1,200 years until Johannes Kepler rediscovered this truth. To Hypatia, the universe had to have mathematical perfection, and it was our job to understand it. This remains the fundamental belief of scientists, although we now recognize that a great deal of historical contingency, what we might call messiness (for example, the Big Bang created globs of galaxies, not perfectly spaced ones) that Hypatia might have found unacceptable. Alexandria was going through successive waves of turmoil all during this time. Unlike Hypatia and her students, the adherents of religions all hated each other. The Egyptian pagans attacked the Christians, then the Christians attacked the Egyptians and destroyed the library of Alexandria, the most famous condensation of knowledge in all of history, gleefully rejoicing in the burning of scientific books. Then the Christians turned on the Jews. The Romans couldn’t do much; they were the nominal rulers, but the Empire was in decline and the Roman soldiers couldn’t do much. Hypatia’s Roman student became the Consul of Alexandria, and he very publicly loved Hypatia. Her Christian student became a famous bishop. They tried to keep violence from getting out of hand, but the majority of Christians did not listen to the peaceful bishop; instead they followed the radicals who called upon Christians, in the name of Jesus, to stone to death everyone who did not agree with them, and this eventually included Hypatia. The charges leveled against Hypatia were that Scripture forbade a woman to teach in public. They should just stay home and, if they should happen to venture out in public, keep their damned mouths shut. Hypatia spoke in public and was a scholar. This was plenty of reason for the Christians to push her to the altar, strip her, stone her, and drag her mutilated body through the streets. A young Christian man, who had been Hypatia’s slave but whom she liberated even though he sexually assaulted her, tried to save her, but not very hard. 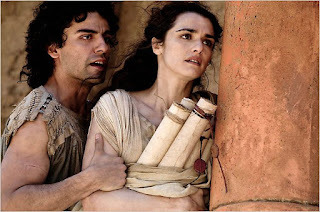 In this image, Hypatia tries to save scrolls from the Library of Alexandria as it is being pillaged and burnt. All of the religions that were concentrated together in Alexandria were guilty of killing people of other religions. But in Alexandria during Hypatia’s time, it was clearly the Christians who carried out the most and the worst violence, and who eventually became the leaders of the western world. The leaders of this violence became saints, such as Saint Cyril. Hypatia was troubled by the fact that the events on the Earth were so messy and random, while all around the Earth, the heavens were perfect, though in an elliptical rather than a circular way. The recurring imagery of the movie is the ellipse—such as the circular opening in the library vault, seen from the side—and a view of Earth from outer space, focusing down onto Alexandria, and then receding again into the indifferent stars. Today, most of the American opponents of scientific truth are evangelical Christians, and they are closer to using violence against scientists than we usually think. American evangelical Christians do not even want to question whether the proclamations of their preachers and of Donald Trump are consistent with the Bible, much less with scientific and historical truth. At other times and in other places, there are other enemies of truth: Stalin killed geneticists, and Islamic terrorists don’t want anybody to disagree with them about anything. But for me, here in America and now, it is the evangelical Christians whom I consider the most dangerous, just as they were to Hypatia of Alexandria. The violent Christians (that is, most of them) set science back a millennium. Many of them appear to want to do so again. Whether the tragedy of Hypatia is repeated again, or not, we should not forget her or the power of a woman’s mind. I live and work in Oklahoma. It is one of the reddest and most fundamentalist states. But we could look down our noses at California and say, at least we don’t have earthquakes. And the government of Oklahoma will do almost anything, including destruction of the quality of education, to keep that rate low, and to discourage energy efficiency and alternative energy sources. Therefore, the Oklahoma government considered fracking to be our only hope. For several years, the government officially denied that there was any connection between fracking and earthquakes. When the state seismologist Austin Holland said that the evidence was conclusive, the dean of University of Oklahoma’s College of Earth and Energy told him that the results were unacceptable. 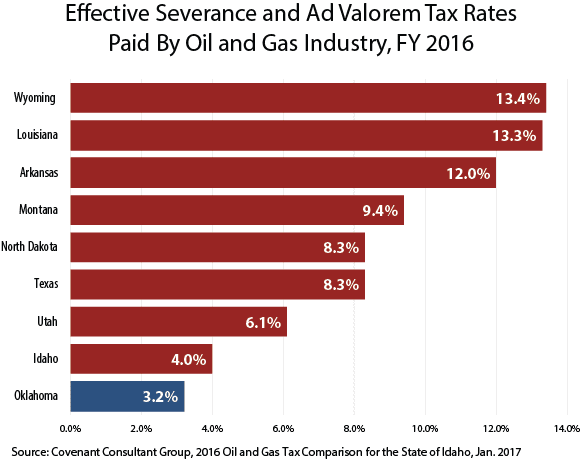 A vast amount of the College’s funding comes from oil companies. In 2013 Holland was summoned to a meeting with OU President David Boren and Harold Hamm, CEO of an oil company, where he was also told that he should not say anything negative about fracking, according to this article in the Norman Transcript, the newspaper of the city in which OU is located. Late last year, Holland testified that this pressure was his principal reason for leaving Oklahoma. He was assured that he had complete academic freedom, but the university also had the freedom to make him shut up or leave. In 2016, the frequency and intensity of earthquakes became so bad that the Oklahoma Corporation Commission shut down 37 fracking sites, but only after a large earthquake caused so much damage that even the oil companies could not ignore it. According to the Science article, the chance of an earthquake is greatly reduced if the wastewater injection is kept away from the hard, base rock layer underneath the oil-bearing layers. While placing depth limits on fracking, it may be possible to continue fracking without having as many earthquakes. But my point is that it took a catastrophe for Oklahoma to even admit that fracking ever caused any earthquakes at all. Meanwhile, residents of central Oklahoma continue to experience earthquakes. Oklahoma residents pay all the costs for the damage, while the oil companies get all the profit from the fracked oil. Support structures are beginning to tilt, and floors to crack open, even outside of the earthquake zone. We are simply used to this in Oklahoma; we simply recognize that corporations can do almost anything they want no matter what damage it may cause to ordinary citizens. Oklahoma is now world-famous. The authors of this study were British and Dutch. Science is read worldwide. I suspect, however, that most Oklahomans do not know or care what anyone else in the world thinks about our state. Many of my students are creationists and claim to be Bible believers. But many of them have not read much of the Bible. On the first day of class I always write a passage from the sermon on the mount (“Even Solomon in all his glory was not arrayed as one of these”). Almost none of the students, even the ones in the Jesus T-shirts, recognize it. They go to church and listen to preachers quote select passages of scripture, usually chosen to reflect Republican agenda items. Rarely if ever do members of these fundamentalist churches check up on the preachers, or read the passages that the preachers avoid. So here is what I did. I teach at a secular university (thank God!) so I could not tell students what to think about the Bible; or even what I think about it. But I did tell them that if they believe the Bible they should read it for themselves—all of it, not just the parts their preachers quote. And they should think for themselves about what it means, rather than the interpretation the preacher insists that they believe. Their evolution professor, telling them to read the Bible? These students have been living off of tidbits of the Bible that their preachers give them, sort of like pre-Reformation Catholics being unable to read the Latin Bible and having to just believe whatever the priests said. Only this is worse; these students do have access, in all formats (except clay tablet), to the Bible. I have, perhaps, made the Bible fully available to them for the first time, if only by irritating them to read it. In this way, I am like John Wycliffe or Martin Luther, Protestant reformers of the late middle ages who, along with others, made the Bible available in languages the people could read. I, like them, am encouraging people to actually read the Bible.